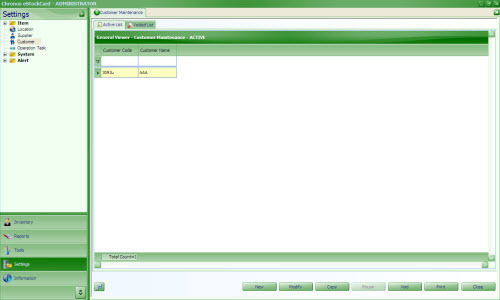 A customer is refer to the current or potential user or buyer of products from an individual or organization. 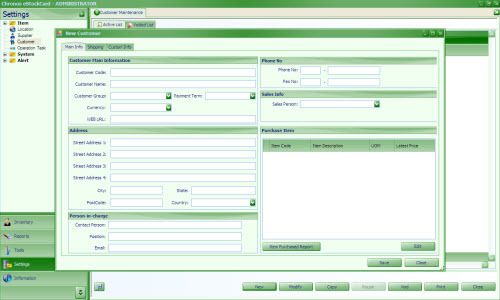 To link the outgoing items or selling of items to the respective buyer, the customer code , customer name and address need to be set first in the eStockCard inventory management software. 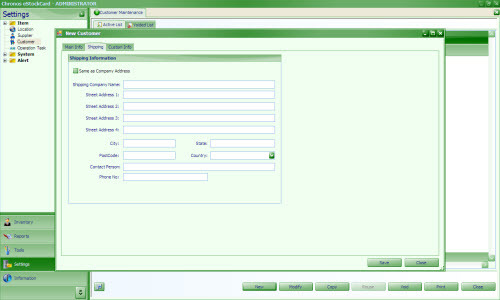 Step 2 Enter the Customer Code, Customer Name, Currency, Payment Term , Address , Contact Person and their contact number. Step 3 For info: for the Currency column, if the currency conversion is yet to be set, it will prompt the user to e create the conversion rate at the Currency Convert screen instantly. Currently I’m using eStockCard Standard (v2.1.7) and I want to upgrade to eStockCard Premier (v3.1). How do I proceed?